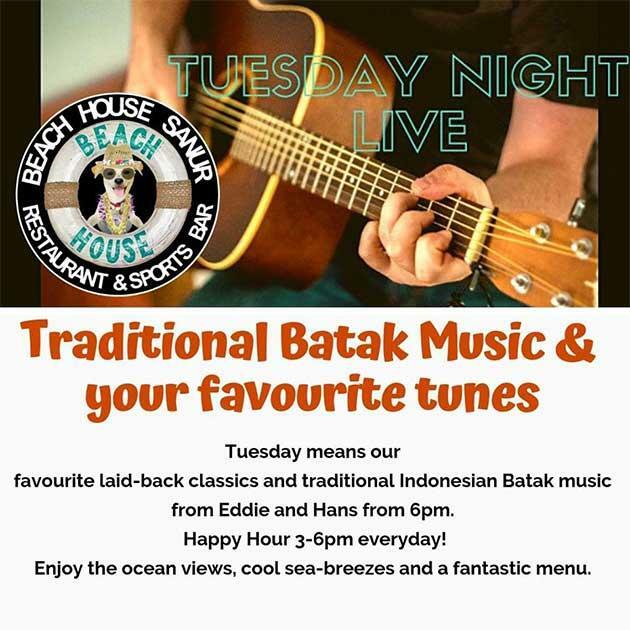 Every Tuesday enjoy live acoustic music from our talented Indonesian musicians, Eddie and Hans. They'll play traditional Batak music and your favourite classic tunes. Enjoy our extensive à la carte menu, cold drinks, ocean views and cool sea breezes.